Tomorrow, Juicy J will be releasing a new mixtape called Gas Face and there will be a collaboration with Lil Wayne on it. Juicy took to his Snapchat to preview Tunechi‘s verse, as well as wrote “Juicy j & lil Wayne #gasface may 15 I promise” on the caption. 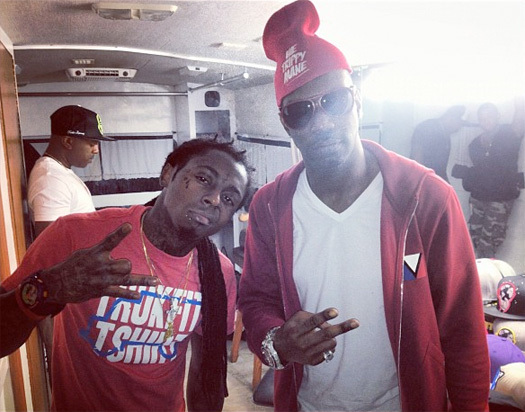 Who is looking forward to hearing a new Juicy J and Weezy collabo tomorrow? They last collaborated on “Miss Mary Mack” in 2015! 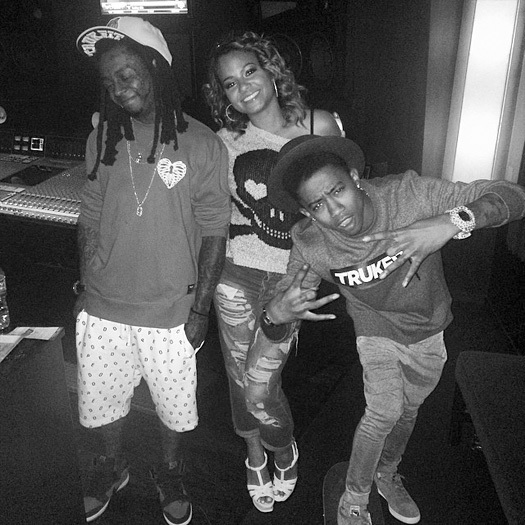 Lil Twist took to his Snapchat in the week to reveal him and Fooly Faime have a new collaboration with Lil Wayne called “Nerve” coming soon. If you don’t follow the Young Money artist on Snap, or you missed the 8-second clip, you can check it out after the jump below! Who is looking forward to hearing the track? Gucci Mane has announced on his Snapchat (see below) that he just recently recorded a feature for Lil Wayne! There are no more details about the song, such as which upcoming Tunechi project it will appear on or when it will be released, but it’s good to see that Tune hasn’t retired from rap and is indeed still working on new music. 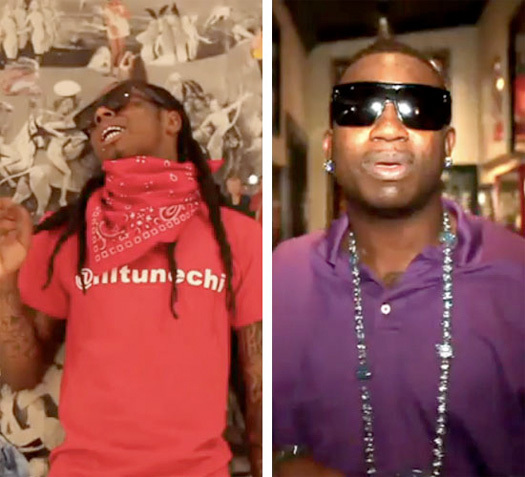 Who is looking forward to hearing a new Weezy and GuWop collaboration? They have previously worked together on “Steady Mobbin’“, “Stupid Wild“, “Bullet Wound“, “Cyeah“, and “Runnin’ Circles“. We heard a snippet last week, and now here is another preview of Wale and Lil Wayne‘s collaboration that will appear on the upcoming SHINE (Still Here, Ignoring Negative Energy) album. 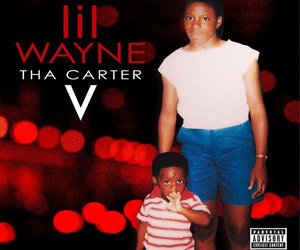 Unfortunately, the teaser is only 5-seconds long, but we can hear a little bit of Weezy‘s verse on the song that was recorded at the Record Plant studio in Los Angeles a month and half ago. Hit the jump to check out a sneak peek of Tunechi‘s verse via Wale‘s Snapchat! Wale took to his Snapchat yesterday to tease his and Lil Wayne‘s collaboration off the Maybach Music Group rapper’s upcoming SHINE (Still Here, Ignoring Negative Energy) album. We first heard about this collabo, which was recorded on June 27th at the Record Plant studio in Los Angeles, a few weeks ago. 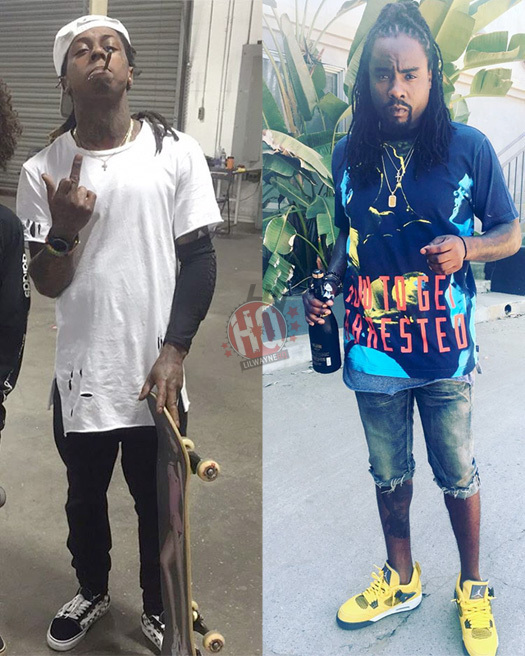 You can listen to a snippet of the forthcoming Wale song featuring Weezy after the jump below! 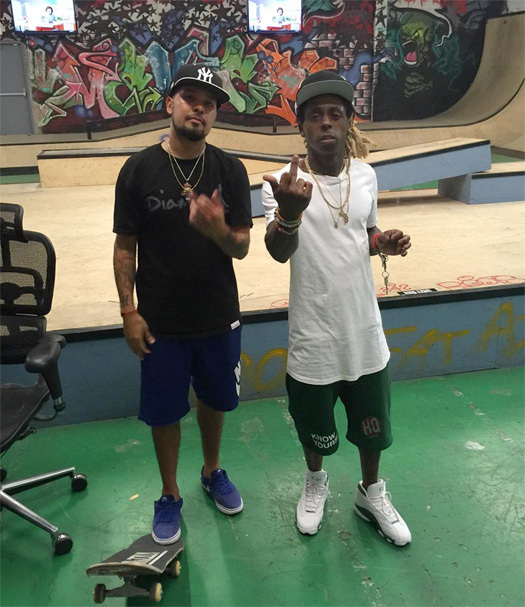 Yesterday, DJ Drama held a listening session for his upcoming Quality Street Music 2 album and filmed a 10-second clip of Lil Wayne‘s verse on his Snapchat. 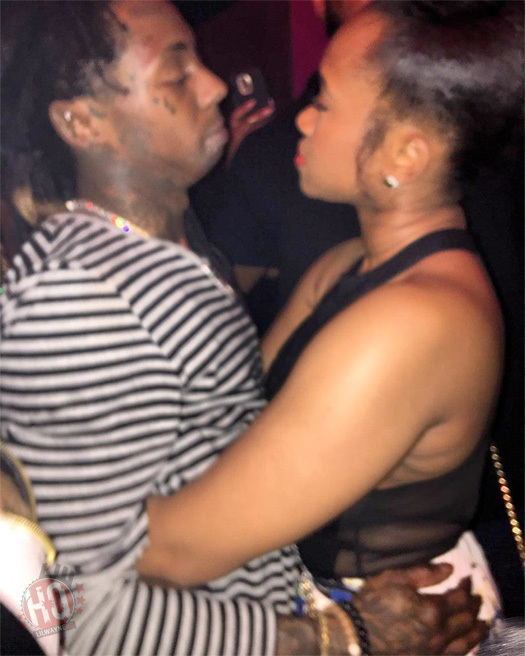 We found out a few days ago that Weezy will be opening Drama‘s forthcoming project with a solo song for the “Intro” and from the snippet, it’s sounding very good. Hit the jump to check out the preview! 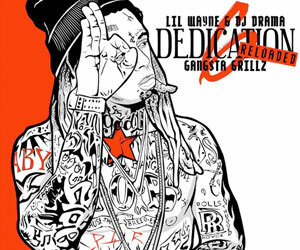 Who is looking forward to hearing this new Tunechi track next month?